​In addition to his ten Grammy Awards and four Academy Awards, conductor, composer, and pianist André Previn has received the Austrian and German Cross of Merit and the Glenn Gould Prize, as well as Lifetime Achievement Awards from the Kennedy Center, the London Symphony Orchestra, Gramophone Classic FM, and the Grammy Lifetime Achievement Award from The Recording Academy. Musical America also named him Musician of the Year in 1999, and in 1996 Her Majesty Queen Elizabeth II made him a Knight of the British Empire. He is a regular guest with the world’s major orchestras and has held the chief artistic posts with such esteemed orchestras as the Los Angeles Philharmonic, Pittsburgh Symphony, Royal Philharmonic, London Symphony, and Houston Symphony, and he has toured with all of them worldwide. 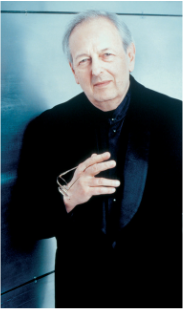 In 2006 Mr. Previn completed a four-year term as music director of the Oslo Philharmonic. As a pianist, he records and performs song recitals, chamber music, and jazz, most recently with Renée Fleming at Lincoln Center and with Barbara Bonney at the Mozarteum in Salzburg. He regularly performs chamber music with Anne-Sophie Mutter and Lynn Harrell, and members of the Boston Symphony Orchestra, the London Symphony Orchestra, and the Vienna Philharmonic. Maestro Previn also enjoys countless successes as a classical composer. The recording of his first opera, A Streetcar Named Desire, was awarded the Grand Prix du Disque. The Boston Symphony Orchestra premiered two recent works, a Double Concerto for Violin and Double Bass for Anne-Sophie Mutter and Roman Patkoló, and “Owls." His second opera, Brief Encounter, was commissioned and premiered by the Houston Grand Opera. To honor his eightieth-birthday celebrations, Carnegie Hall presented four concerts showcasing the diversity of his achievements. 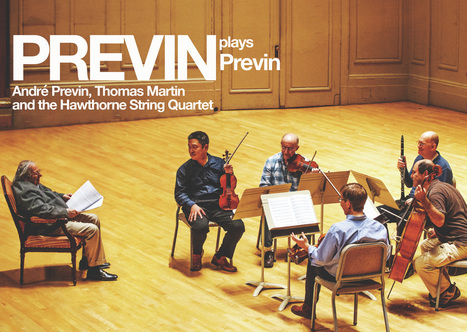 André Previn’s music is published by G. Schirmer, Inc. and Chester Music Ltd.